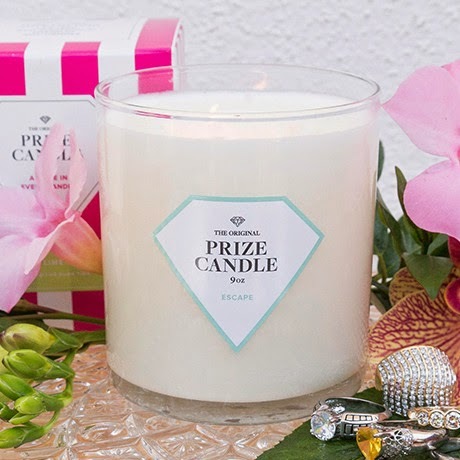 Mix and Chic: Product review- Prize Candles! I love how scented candles lift up your mood instantly. So when I was offered an opportunity to try a new scented candle, I instantly agreed, thanks to the nice people at Prize Candle! 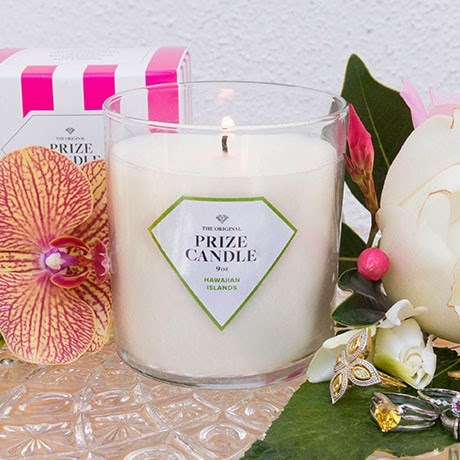 If you are new to Prize Candle, allow me do a little introduction. 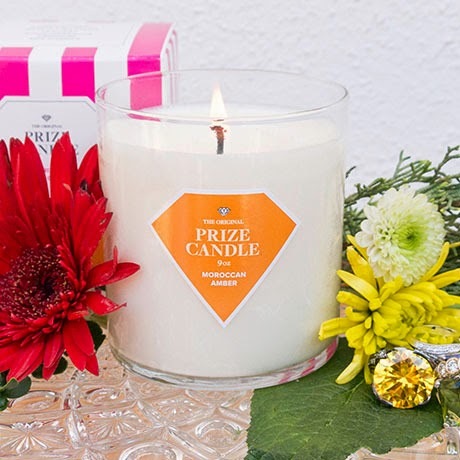 Prize Candle is an eco-conscious candle line that is sophisticated and refined, yet affordable and festive. 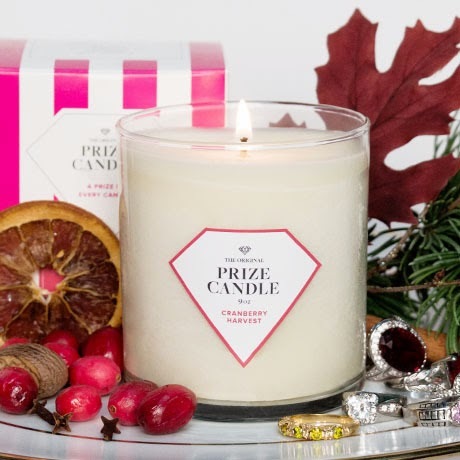 So, what differentiates Prize Candle from other scented candles? 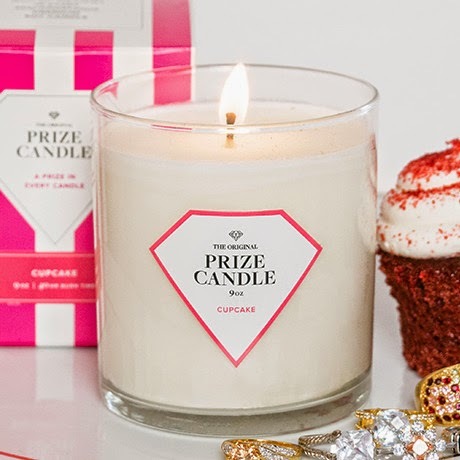 While other scented candles offer you candles (obviously), each Prize Candle comes with a surprise! 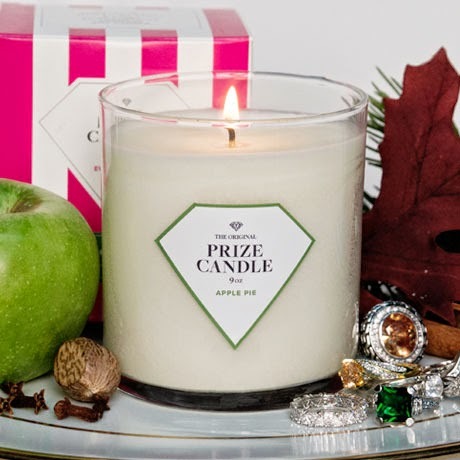 Every candle comes with a hidden ring that ranges from $10 to $5,000. How fun and exciting is that! Some of the fabulous candles offered on their website. Since I love the smell of nature, I picked two candles that are nature-related, the Garden Rose and Provence Lavender. Here they are! I love their beautiful packaging designs! On top of the packaging, they read, "Discover a prize valued at $10 to $5,000 in every eco-conscious premium soy candle". Here's what the candles look like after the packaging are removed! My beautiful Garden Rose candle when it was lit. I forgot to take a picture of my Provence Lavender candle when I lit it for the first time. Here it is after a few hours of burning time! Here's my hidden ring from the Provence Lavender candle! My verdict? I really love both the candles I selected! Made of all natural pure premium soy wax, they are produced in the USA and do not contain any parabens, ammonia, chlorine or lauramide DEA & pesticide free! Both candles exuded a distinct fragrance even when they were still in their boxes. The Garden Rose candle smelled sweet and delightful while the Provence Lavender candle smelled fresh and invigorating, reminding me of a scent from a bottle of high-end perfume! Even when they are unlit, I always catch a whiff of the scents when I am at a distance. Each of their 9 oz candles are designed to burn up to 60 hours. The best part is, they are smokeless and they burn cleanly. To retrieve my hidden ring, I lit the Provence Lavender for about two to three hours before I found a small piece of plastic container inside. Inside the plastic container was a baggie with a ring accompanied by a tiny piece of paper that had a code on it. To find out the value of the ring, I simply entered a code at the company's website for an instant appraisal and guess what, my ring is worth $10! Although the ring is not exactly my style and is a little too big for me, I had a great time prying it out from the candle. The anticipation definitely made it a fun experience! Overall, I am very satisfied and impressed with the quality of these fabulous candles! I would personally buy it for myself even if there is no fun, hidden rings inside each candle because the candles themselves are well worth the money in my opinion. Highly recommend! *I received these products to review for free but the views and opinions expressed are my own. These candles are eco-conscious, beautifully packaged with fun surprises thrown in, what's not to love? I think they are perfect for gift giving, don't you think? 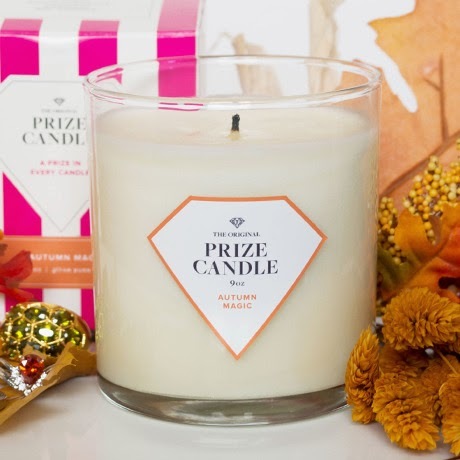 Don't forget to visit Prize Candle to check out other amazing offerings! Happy shopping! Cool! Will make great Christmas gifts!